When I took a visit to the VELUX Head Office in Denmark back in early December, Christmas was well and truly in full swing. 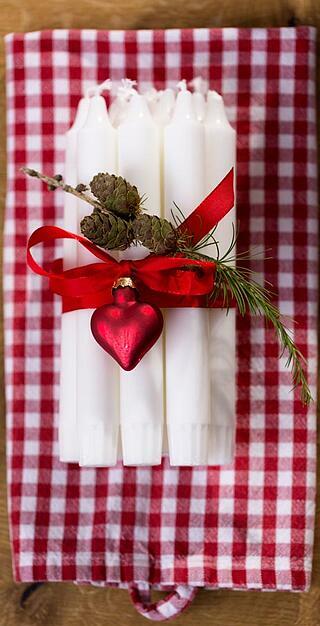 Jul, an old Nordic word for "feast", is the biggest holiday in Denmark with traditions that go back centuries. After taking in the gorgeous festive lights in the city and enjoying a delicious Danish Christmas lunch with my colleagues, I was keen to know more about how they celebrate the season, compared to us here in the UK. Who does Christmas best? The Danes really know how to build anticipation before the big day. On December 1st, children open the first door on their julekalender. Similar to our UK advent calendars, they are made from cardboard with a piece of chocolate or a Christmas-themed trinket behind each door. Some children may also have a gavekalender (gift calendar), with small wrapped presents for each day of December or just for each Sunday in Advent. To accompany the calendars is a Julekalender television series, an annual tradition that began in 1962. One episode is shown each day in December with the last aired on Christmas Eve. The stories normally follow a similar theme, with someone trying to ruin Christmas and the main characters valiantly saving it! 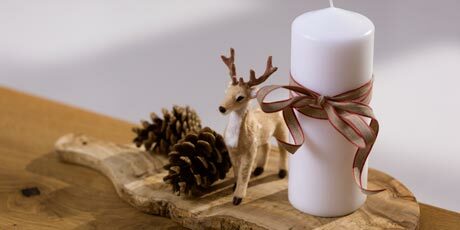 Another tradition is the Kalenderlys, the calendar candle. 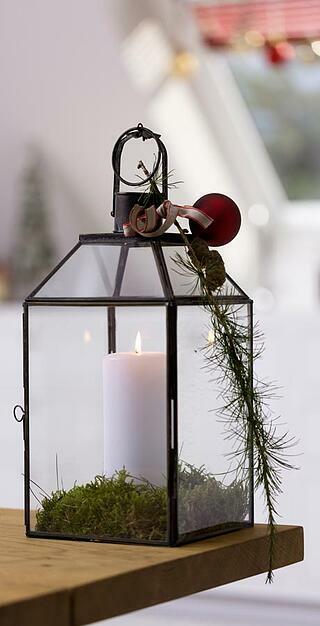 The candle is marked with 24 lines and decorated with fir tree motives and red-cheeked pixies. The lighting of the candle each morning tends to be a family ritual, and it's the children's job to blow out the candle exactly at the line-mark, ready for the next day. Winner: Denmark. They take advent to the next level. While the UK has gone mad for Elf on the Shelf in recent times, the Danes were way ahead of us with nisse, a goblin-like creature of Nordic folklore. Tradition has it that every household has its own nisse, and it has the power to bestow good fortune for the year ahead, as long as everyone behaves and leaves it out a nice bowl of rice pudding. If not? The nisse might play pranks on you. Nisse ornaments are very popular decorations in Danish homes. Winner: Denmark. While Santa is a jolly chap, nisse sound like a lot of fun. Here in the UK we tuck into turkey and all the trimmings on Christmas Day, but the main feast for Danes is on Christmas Eve. The main course is roast goose, duck or pork with sour-sweet red cabbage, beetroot and caramelised potatoes. For dessert, a classic is ris à la mande, a sort of rice pudding with chopped almonds and cherry sauce on top. The bowl of ris à la mande contains one whole almond and the person who is lucky enough to find it in their serving wins a prize, which traditionally is a marzipan pig. Winner: UK. The caramelised potatoes sound great, but I think I’ll take my mum’s trifle over the rice pudding! When the Christmas markets open in the UK, mulled wine is soon on everyone’s mind. But the Danes have a Christmas brew that’s a much bigger deal: julebryg, a special festive liquorice lager. Despite only being on sale for ten weeks a year it’s Denmark’s fourth best selling beer. The first Friday in November is J-Dag (J-Day), when horse-drawn carts leave the Tuborg Brewery laden down with the julebryg to deliver to the local pubs. The beer goes on sale on at precisely 8.59pm and the Danes head to the pubs to celebrate the first taste. Winner: Denmark, for that sense of occasion. SKÅL! 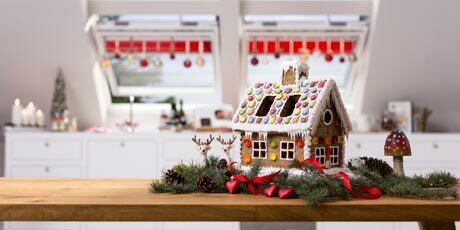 You can never have too many sweet treats at Christmas. While us Brits are busy scoffing mince pies and Christmas cake, the Danes are enjoying an incredible array of festive cakes and biscuits. 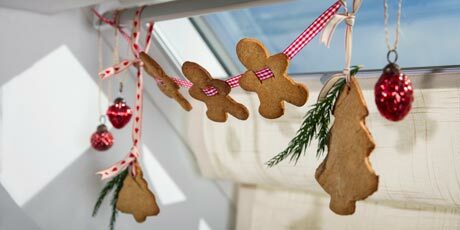 Baking at home is a big part of the Christmas preparations for many. 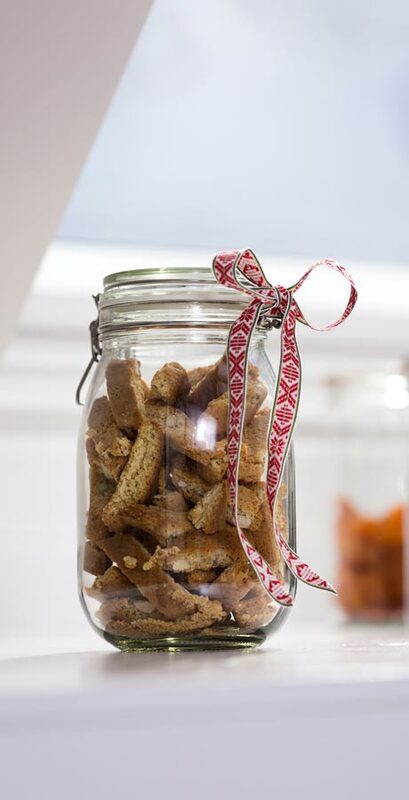 Traditional Christmas cookies include vaniljekrans, vanilla cookies piped into a wreath shape, and pebernødder, a highly addictive walnut-sized cookie containing white pepper and other spices. Another favourite is æbleskivers, served with jam and powdered sugar and somewhat similar to doughnuts. Winner: I’d have to go with Denmark, for sheer variety! Here in the UK we’re pretty evenly divided between real and artificial tree households, but in Denmark artificial trees are quite rare. Traditionally, the tree is decorated with real candles. A big highlight of the festivities is when the whole family gathers around to the light them after the Christmas Eve meal. After that, the presents are put under the tree and everybody joins hands and dances around the tree while singing carols. 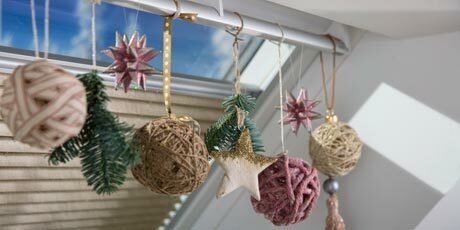 Another traditional tree decoration are Christmas heart ornaments, little heart-shaped baskets made from paper. The first one is said to have been created by Hans Christian Andersen over 200 years ago. 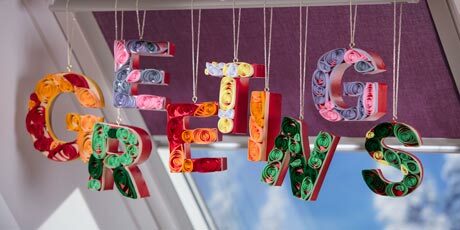 These are great fun to make with children and instructions can be found online. Winner: UK. While the dancing sounds fun, I’d hate having to wait ‘til Christmas Eve to light up the tree! We don’t have much in the way of official Christmas games here in the UK, unless you count a round of charades or possibly a board game. But the Danes have a brilliant game called pakkeleg. Everyone brings a present, puts it in the middle of the table, then rolls a dice. If you roll a six you can select a gift. This continues around the table until all gifts are taken. Then comes the fun part. Working against the clock, the dice keeps rolling, but this time a six means you can steal someone else’s present! Families often have their own variations of the rules, but it usually all descends into chaos by the end. Winner: Denmark. There is no contest. I can’t wait to try this with my Scottish family! 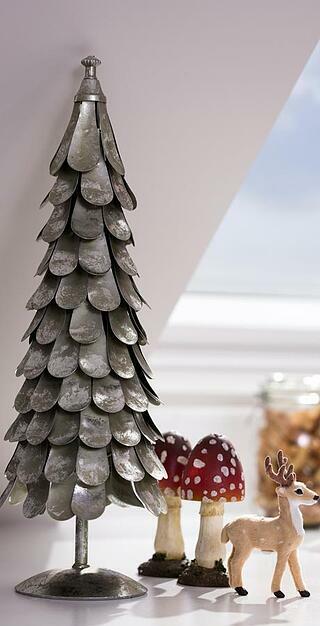 Across all the categories above, it looks like a Danish Christmas might just have the edge. But we’ve got our own traditions here in the UK, from the ubiquitous tin of Quality Street, to our excellent Christmas telly and mince pies. So, no matter where you are and how you’re celebrating, we wish you Glædelig Jul / Merry Christmas! 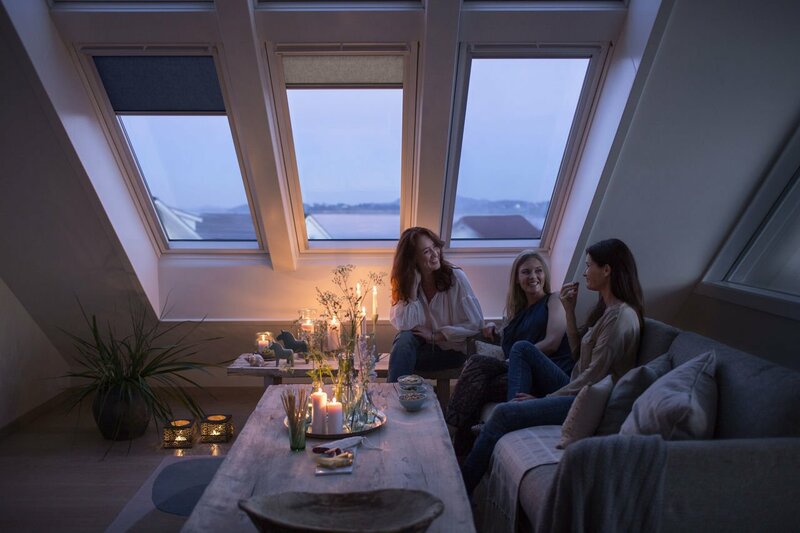 Using the Danish concept of hygge - the Danish term for cosiness - interior design blogger and stylist, Hege Morris of Hege in France, highlights some of the ways in which you can create hygge happiness in your home.